Our product range includes a wide range of locking plate. 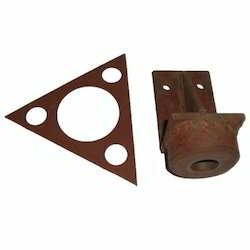 We also offer an exclusive range of Locking Plate & Bracket for Door which is a strongly insulated building structure. These Locking Plate and plates builts great strength and improves insulation as well. Our Locking Plate range reduces the on field time required for building. Our Locking Plate range is known for its optimal performance and long service life. This Locking Plate gives consistent performance even in long run. Looking for Locking Plate ?